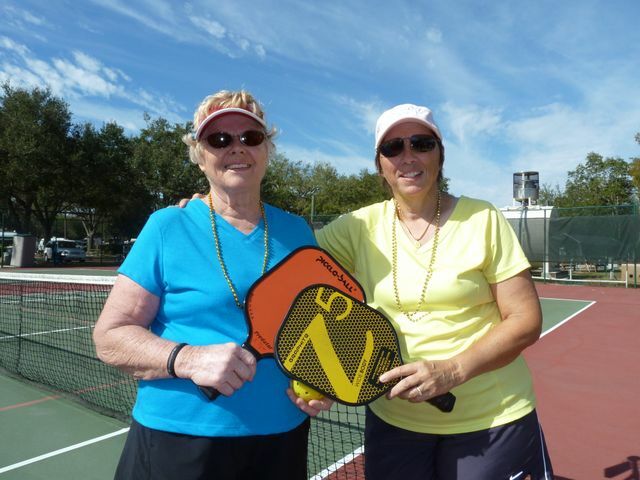 Nineteen teams of avid Pickleball players as well as over a dozen spectators turned out on Saturday, January 21 for the 4th Annual Cypress Cove Pickleball Fun Tournament, sponsored by the pickleball players at beautiful Cypress Cove Nudist Resort & Spa in Kissimmee, FL. A spectacular day of spring-like weather rewarded all the players with idyllic temperatures, blue skies and calm winds for the tournament, which saw entrants from as far away as Nashville, TN. A strong contingent of players from Solivita in nearby Poinciana turned out to play, as well as about a dozen resident players from Cypress Cove. All teams were selected through random draw, and play was conducted on four courts under perfect weather conditions with temperatures in the low-80s. The double-elimination tournament was exciting, to say the least. Thirty-nine games were required to determine the champions, with the eventual winners playing 10 games to claim the title, defeating strong competitors who advanced all the way through to the championship round with a perfect 4-0 record, only to fall 0-2 in the finals. 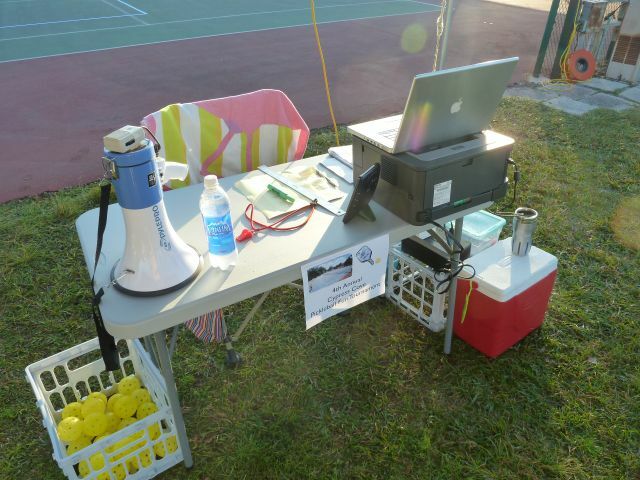 Everyone had a wonderful time at the tournament, which was capped off by a fabulous picnic lunch and free homebrew draft beer served court side under the brilliant Florida sun. 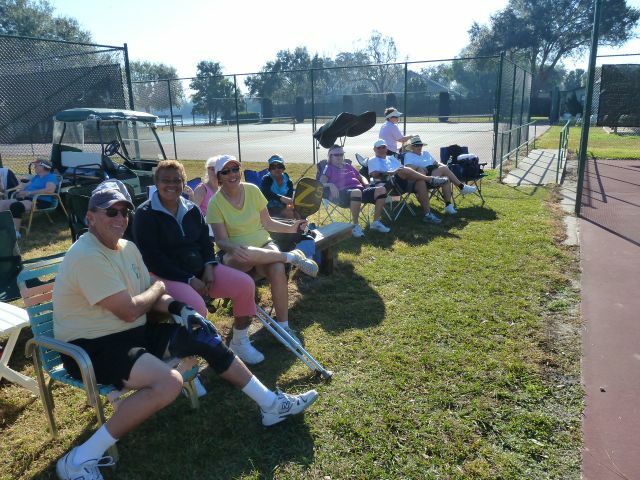 Many players took full advantage of the gorgeous weather to relax the rest of the day at Cypress Cove, and we're all looking forward to the 5th Annual Cypress Cove Fun Tournament, coming up in February of 2013. Thanks to everyone who came out to play. Watch for details on this Web site for info on next year's tournament, online registration and more, coming this fall. Tournament Central was a busy place during the tournament, but things ran smoothly and all 39 games in the double-elimination tournament were completed in a snappy 3.5 hours. That looks fun. Cypress Cove is just the perfect place to hold these tournaments. Congratulations to all the winners.